We are still busy at work on the new Heavy Gear Blitz! 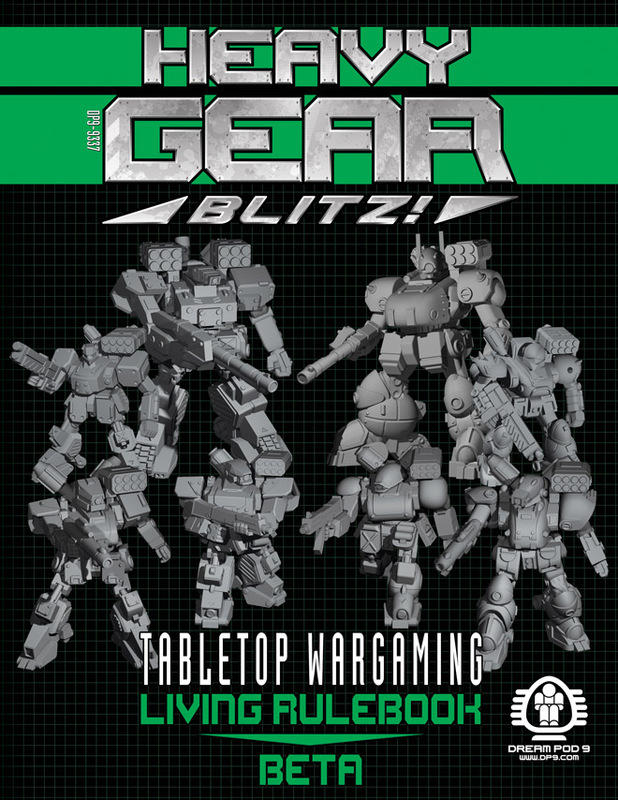 - Tabletop Wargaming - Living Rulebook Beta. We finished up the cover the other day, and have included a preview as part of the update. We plan on getting a lot of work done on the layout this week and should have a firm release date to announce next weekend, we thank you all for your patience. This last week we finished up the new Game Tokens designs with the team over at Impudent Mortal. They will be making samples of the new laser etched and cut acrylic game tokens later this week and we should have a preview images to show in next week's update.